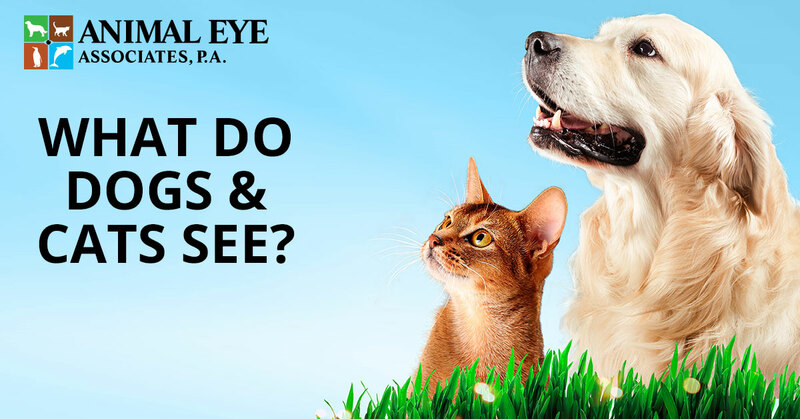 Veterinary Ophthalmologist Maitland: What Do Dogs & Cats See? What Do Dogs & Cats See? Cat and dog eyes are fairly similar to humans, but there are a few major differences. The visual function of your pet will depend on a few different factors: depth perception, acuity, perception of motion, and color differentiation. While we can’t ask Fido to read an eye chart for us, there have been a variety of comparative studies conducted that have given us an idea of your pets’ vision. To properly understand this question, it’s important to know that the eye’s cone photoreceptors are in charge of seeing color. For example, humans have three cone photopigment populations making us a trichromatic species. We tend to absorb the colors red, blue and green the best, which is why these are our three primary colors. Our pets, along with most domesticated animals, are dichromatic. As you may have guessed, this means that our dogs and cats possess two photopigment populations. This means our animals have color vision, just not to the extent that humans have. It’s been found that our pets have trouble distinguishing between the colors red, green, and yellow. Did you know that rabbits can watch in two directions at once? This is because a rabbit’s eyes sit on each side of its head. Dogs and cats, on the other hand, have eyes that are positioned toward the front of the face giving them depth perception and binocular vision. Cats also have elliptical pupils that allow the eye to capture as much light as possible. Our feline friends have reflective cells under the retina, which results in a tapetum. The tapetum gives cats the shiny eye appearance and improves the species overall ability to see in dim light or dark rooms. In fact, according to an article from American Veterinarian, cats can detect light that is six times dimmer than the lowest detectable threshold of humans. The shark cornea is so similar to the human eye that it has been used in cornea transplants for humans. Our friend the guinea pig is born with its eyes wide open. Polar bears have a third eye that is used to filter out UV light. This comes in handy with the bright snow glare. Camels have three eyelids that are incredibly thin. So thin, in fact, the mammal can see with all three eyelids closed. If you think there may be something wrong with your pet’s eye, it’s important to seek help from a certified ophthalmologist right away. 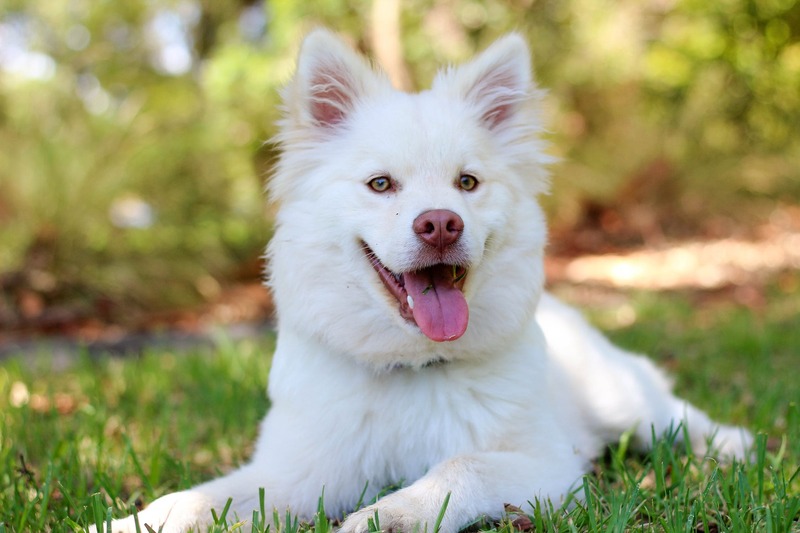 If you live in the Maitland or Orlando area and you’re looking for vet eye specialists with years of experience, contact Animal Eye Associates today.